How does your water taste, smell and feel? When it comes to providing for the family, we always want to give them the best. How’s your water? When we test peoples water in El Paso, we always find high amounts of chlorine/chloramine- with some locations showing levels higher than what you will have in a typical swimming pool. Should the water your kids shower with have the same chlorine levels as a pool? El Paso is known for having a high amount of calcium & magnesium causing hard water that can lead to dry skin and hair. The good news is that you can protect your family with confidence. We are Garcia Water Care; a family owned business and Puronics authorized dealership from El Paso, Texas. 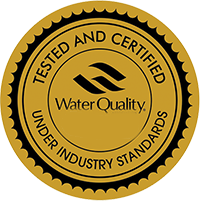 Our whole-home water filtration systems are certified by the Water Quality Association (WQA) and the Environmental Protection Agency (EPA). Plus they are backed by a Limited Lifetime Warranty and local support from a local team you can trust; you are always guaranteed to have high-quality water. We are Garcia Water Care, and we care about our water. 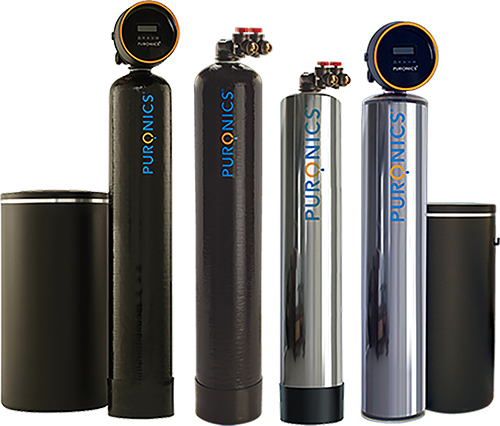 Puronics makes the best water filtration systems, and we are happy to be able to offer high-quality water filtration units in El Paso. Puronics offers certifications linked to every system they sell; this serves as proof that their water softeners will work and not cause any issues. 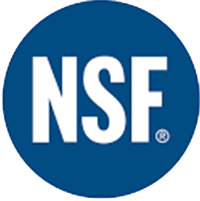 Certifications are vital when buying something that comes in contact with the water your family uses; inferior water filtration media is used in some water filtration systems by resellers that want to save a buck. 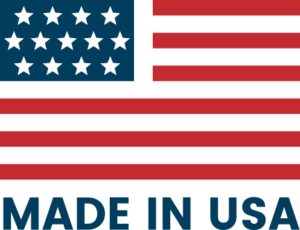 Look for certifications that prove you are getting a quality product, don’t run the risk of buying a cheap product labeled as premium. We have hard water in El Paso because this is the case; many businesses come to town to sell water filtration systems, install them and leave. We are 100% El Paso. Chances are you might see us at the grocery store. We take great pride in the fact that we support and maintain all systems, not just Puronics systems. We know that our systems are reliable, dependable and efficient like we are, so we offer FREE service calls to all our customers. Here are the questions that we get asked a lot. How much is your monthly service plan and how much are your service calls? Service calls are FREE with all the units we sell, including a FREE annual diagnostics check. We provide 150 lbs of salt for each system and offer brine tank disinfection for $60, call us when you need us. Other water treatment companies in El Paso charge their customers maintenance fees either every month ($12) or every year ($135) on top of their original sales price or monthly payments. We also provide service for various brands other than Puronics for $75. All whole-home water softeners need to have the carbon media replaced eventually. Maintenance depends on the type of filtration media in the system. Our most popular model, the Hydronex, will need to be changed out every 117,000 gallons. Our new Hydronex Type C will need maintenance every 2-million gallons. The Puronics RO Drinking system included in our home treatment packages need to have the pre- and post-carbon filters changed out every 24-36 months, depending on your usage. How much is the installation cost for whole home water softener? Installations can vary depending on the kind of work needed. Most certified plumbers will charge between $79-$99 an hour plus parts. Whole-home water softener can typically take about 4-6 hours to install, various factors can increase the time/price. We charge between $500-$800 for most installations and use only professional installers and master plumbers. What does your water treatment system filter from the water? Our system will remove chlorine, volatile organic chemicals, such as pesticides and herbicides, and hundreds of other man-made chemicals that may come into contact with tap water. 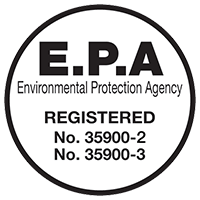 The RO removes 99% of all substances in your water and is certified by the Water Quality Association. Do you offer soap products like other water softener resellers in El Paso? Yes, we include organic soap products from Pure ‘n Gentle Soap. When you buy a whole home system we include shampoo, body wash, hand wash, laundry detergent, dish washing soap, dishwasher detergent, and disinfectant cleaner. We offer the best in soaps so that our customers can maximize their experience with their new water and spoil their body with healthy and chemical free soap products. Yes, we offer a variety of payment options through accredited financing organizations. Payments can be split up anywhere from 3 months up to 10 years. Most financing options will leave monthly payments between $60-$100, depending on credit worthiness and the amount financed. Josh and David are true professionals and definitely work with home owners and veterans. I talked with the top four water softener in the El Paso area and Josh and David answered my doubts and concerns about the product. Garcia water care allowed me to do my research and checked on their competitors which they did not smash talk none of them which makes them true professionals.